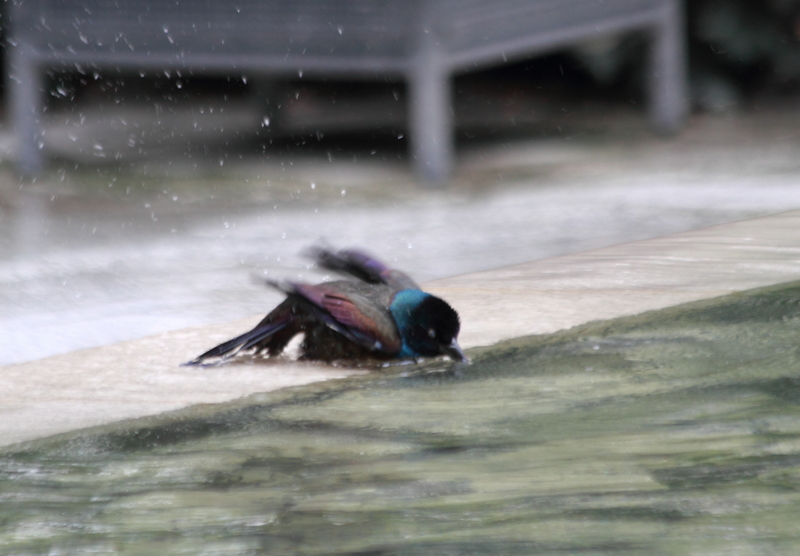 One thing about the fountains at Lake Shore East Park – they provide an irresistible temptation to bathe for the birds. 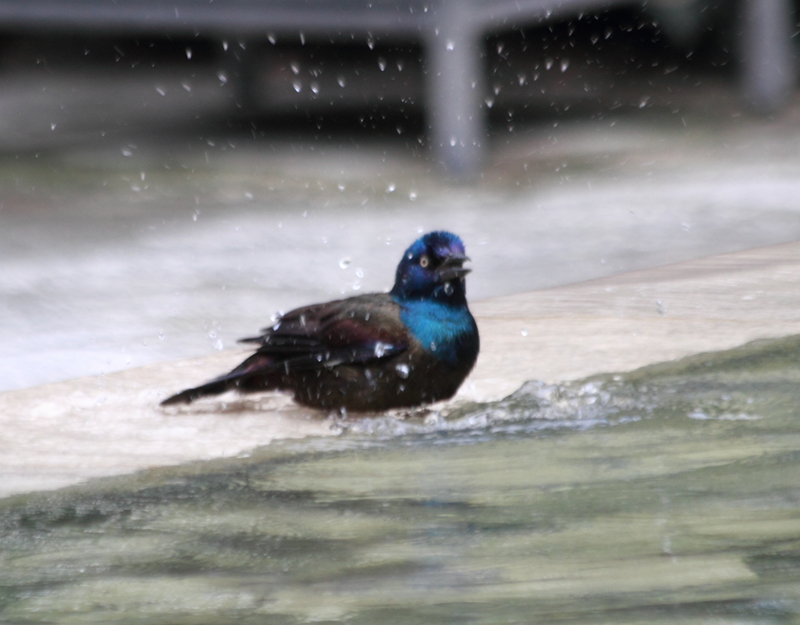 At least for the Common Grackles that have been hanging out there in numbers. The first video is from September 4 and the second one is from yesterday, September 18, exactly two weeks later. On the 4th a House Sparrow joined in but I didn’t manage to get him in the video. 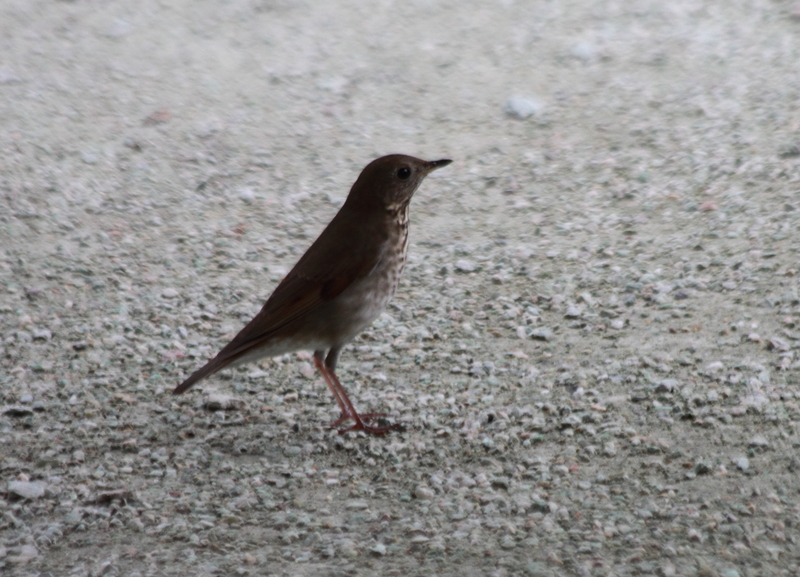 Yesterday a Gray-Cheeked Thrush responded to the temptation of flowing water. At first I thought this was a Swainson’s Thrush but on closer review it turned out to be Gray-Cheeked which is much more unusual. Apologies for the construction noise accompanying the second video! They’re building another high-rise apartment building across from the park. The last is with the House Sparrow before I started the video recording. 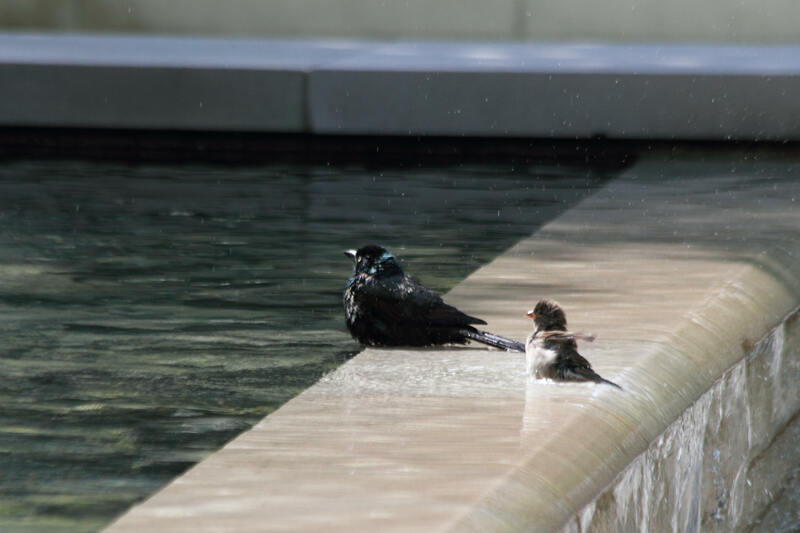 This entry was posted in birds, noise, photography and tagged bathing birds, Common Grackle, Gray-Cheeked Thrush, House Sparrow, Lake Shore East Park by Lisa Rest. Bookmark the permalink. hah hah, nice! 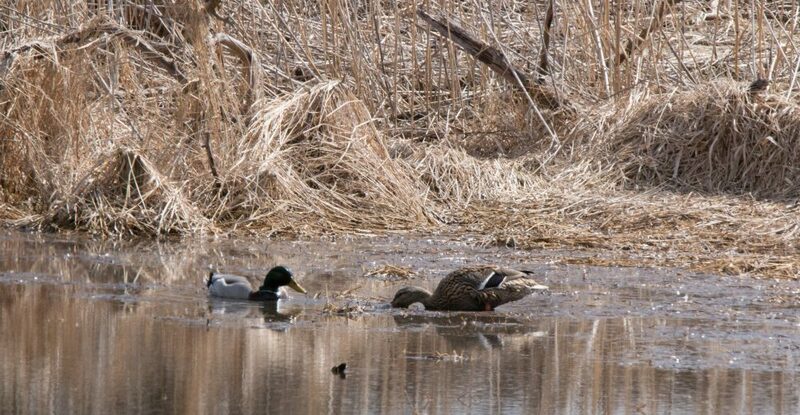 Something about birds bathing always makes me smile. 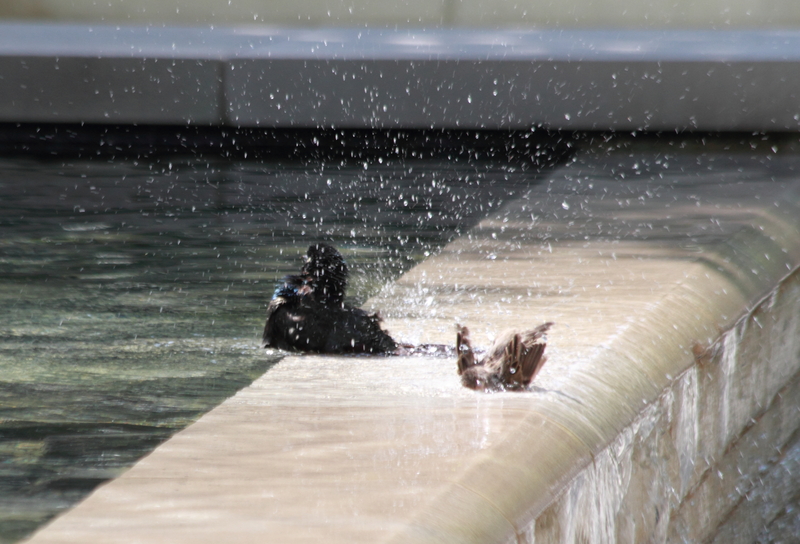 I wonder if they knew this water feature would work so well as a bath?